They weren’t just kind to me, though. One lucky reader will be able to win a Volvo seat of their own. And it doesn’t have to be a toddler seat, either. 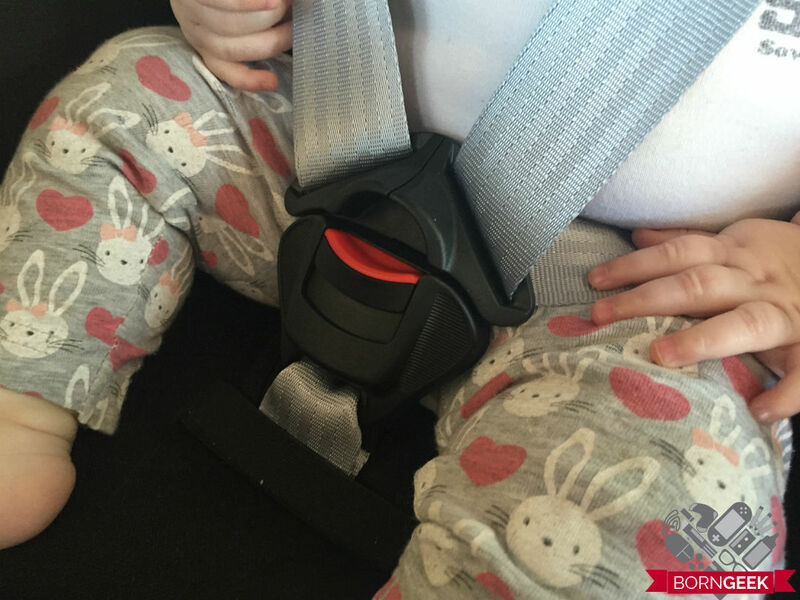 Read my review, enter to win at the end and you could win a car seat for your infant, toddler (up to 25kgs) or a booster seat for your not-quite-adult-sized kid. But why should you be excited? Well, this is a top-of-the-range seat! Let’s not beat around the bush on this one. 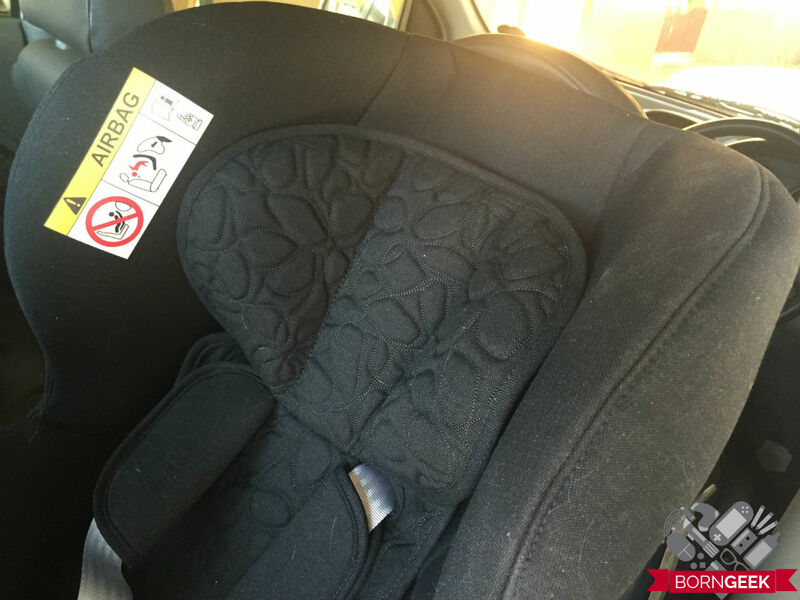 This car seat isn’t that easy to install correctly. I managed to get it in my car properly the first time without any pain or tears, but I had to go back afterwards to adjust the tilt of the seat and fiddle with things to make sure Harley was as reclined as possible – she is still a tiny thing in this seat so she needs to be in full recline. 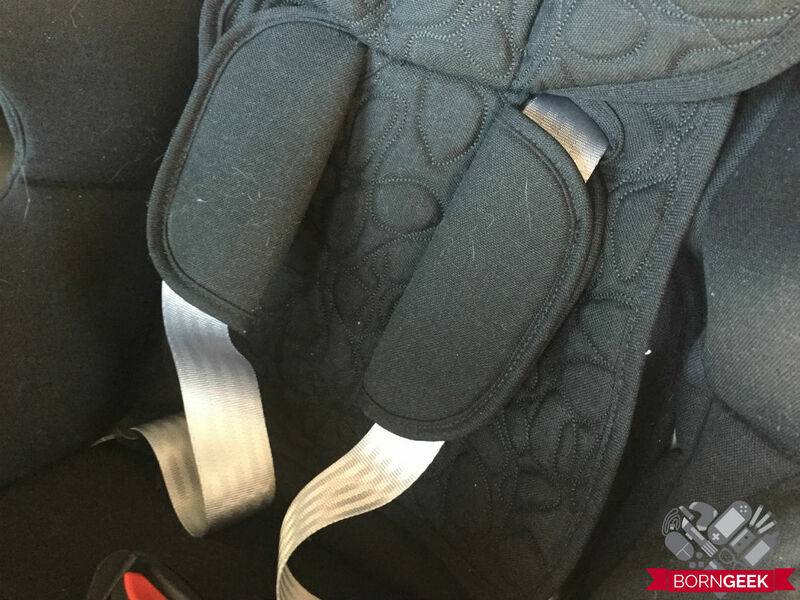 But back to the installation, this was harder than the infant seat was; you need to attach belts to anchor points in your car, get the weird leg thing in the leg well, thread the seatbelt through under the soft cover, and then tighten and adjust everything properly. Thankfully, the seat came with a fantastic instructional video! You just scan the QR code and you can watch the incredibly adept example guy show you the step by step instructions. Or, you could watch my totally unhelpful time lapse video showing just how easily I managed to get it in my car. The reality is that the car seat is sorta like building furniture from IKEA. If you can visualize what needs to be done and what the finished product will look like, it’s really not so hard. But if you’re confused, you might end up screaming at your partner and claiming that only someone with an engineering degree can do it. Of course, if you have a Volvo that comes with those anchorage points, I’m sure it would be a snap to install. 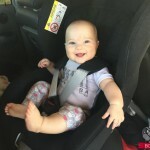 My biggest gripe about a carseat having anything other than crazy easy installation is that most car seats aren’t installed correctly, which means that they aren’t as safe as they should be. So, if you aren’t sure if you’ve done it right, please check with a local store that stocks them, or a Wheel Well representative – they can help you make sure that your precious cargo is safe and sound. At least the seat will last you for a relatively long time; once it’s installed properly, you won’t have to move it for a while. Speaking of safety, let’s look at how safe these seats are. 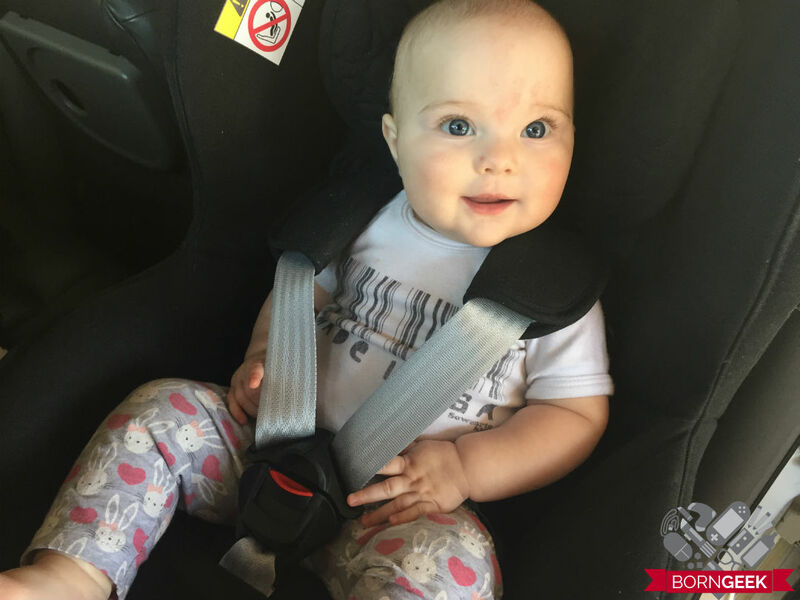 I’ve seen so many adorable pictures on Instagram and Facebook of families going on holidays or even just shopping excursions – you see the parents in the front with the baby in the backseat facing forward. While I’m happy to see the kid strapped in, it simply isn’t as safe for them to be facing forward. Volvo has been researching this for a long time, innovating on car seat design back in the 1960s and changing their approach. Professor Aldman took his inspiration from the special seats used by Gemini mission astronauts during take-off and landing, which were moulded to distribute G forces across the whole back. 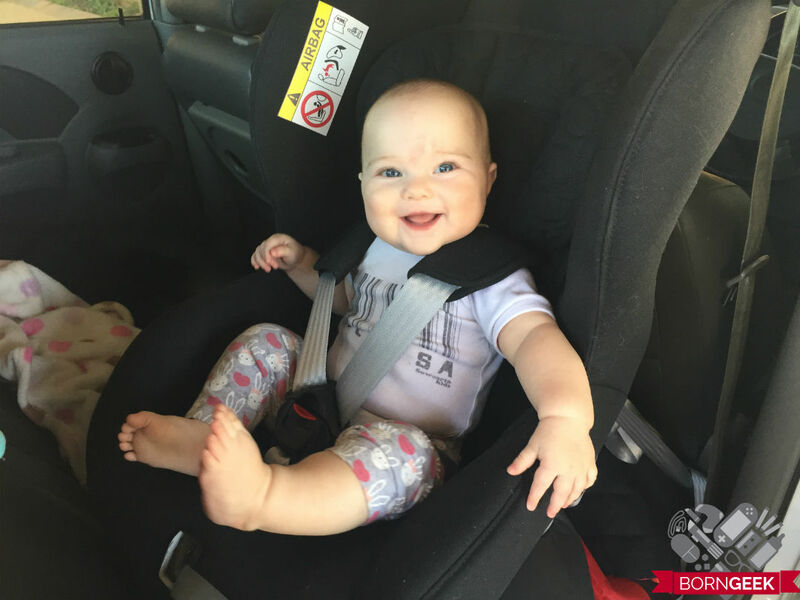 The principle behind rearward-facing child seats is exactly the same. In the event of a frontal impact collision, the whole of the child’s back and head takes the strain of the impact, not just its much weaker neck. But what sort of effect does this have? Well, according to Volvo’s car seat safety manual that you can download here, it’s a big deal. 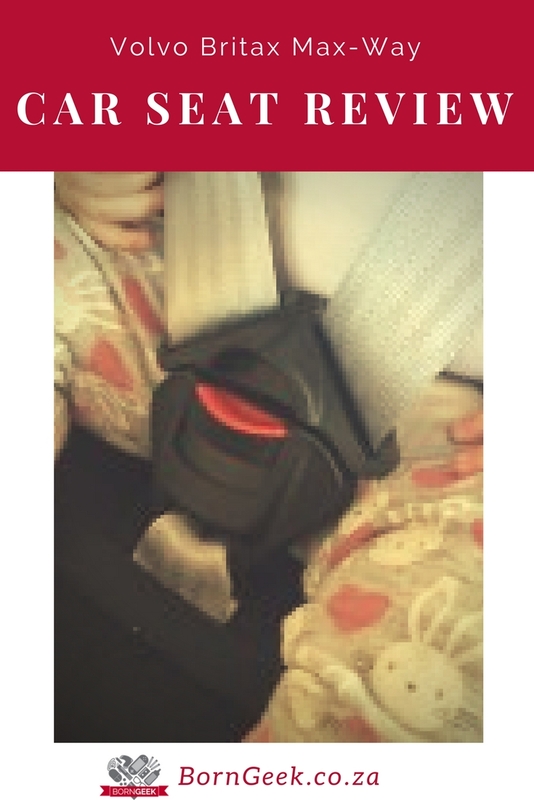 Research from insurance companies show that “the risk of a young child being killed or seriously injured is five times greater in a forward-facing seat than in a rearward-facing one.” FIVE TIMES! That’s a big deal. Just imagine, those fantastic Instagram or Facebook picture-perfect families off on holiday, making me jealous with their amazing selfies and gorgeous snaps. 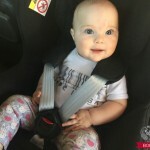 Nothing should happen to them – they think they’re doing everything right, especially by having their kid in a carseat. How devastating would it be to end up in an accident, especially if the kid ends up hurt or worse? 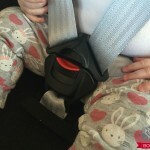 It can be prevented, simply by making sure your little one faces backwards if she’s under four. You’ll just have to pose for selfies before driving, or with a mirror in the backseat to show the baby’s reflected smiles. Obviously, I was unable to personally test the car’s safety. I go the extra mile for my readers, but that doesn’t include getting into an accident just to find out if my little one is okay in her seat. That said, all the research materials suggest that Harley couldn’t be safer; the fact that she can stay rear facing until she is 25kgs means that I get 3-4 more years of peace of mind that she is the safest person in our car, no matter what kind of accident we could possibly have. 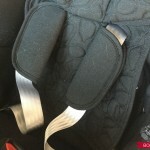 Do you have any idea how gorgeous this car seat is? I mean really – it’s stunning. Just check out these pictures. Charcoal gray with lovely details, and everything about it says that this is proper design. Nothing cheap, flimsy or crappy about it. I think I’m in love with it, actually. And best of all, Harley can use it for ages – she is only just hitting the minimum weight for it of 9kgs and she can stay in it until she is 25kgs. That’s at least another 3 years of safety! She seems to like it, too. It took me a bit to get the recline right (in part because my seats work against the recline and in part because the legs down’t go that far out), but now she happily sits and sleeps in it, cushioned nicely but still well supported. Plus I love the way the harness clips in – it’s easier for me to buckle her in and out while still being too tricky for her to even come close to undoing it herself. Plus, thanks to the 5-point harness, I know that she is really strapped in tight, while still being comfy enough to fall asleep. Now for the part you really care about, the giveaway. You could win this fantastic prize valued at R 5 871.00. How can you enter to win? Leave a comment below saying how old the intended winner is and you’ll get an entry. You can also get extra entries by following on social media, downloading the Volvo safety manual and sharing on Facebook and twitter. It’s all nicely organized for people with OCD like me thanks to Rafflecopter. Good luck and stay safe! Ts&Cs: Giveaway is only for residents of South Africa and entries close on 9 September. Winners will be announced on the site and via email by Monday, 12 September. If the winner does not respond within seven days, a new winner will be drawn. 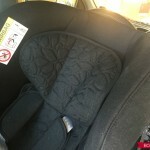 Disclaimer: Volvo are sponsors of #CarseatFullstop and sent me the review car seat to keep for free. They have also compensated me for my participation in this campaign. However, this review is totally objective and honest and without any editorial input from the company.